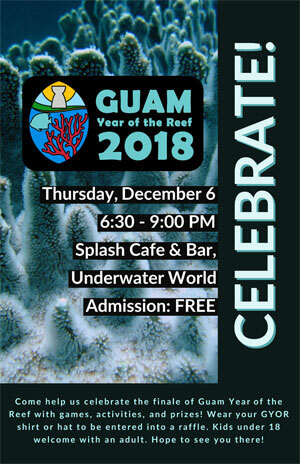 End of Guam Year of the Reef Celebration! 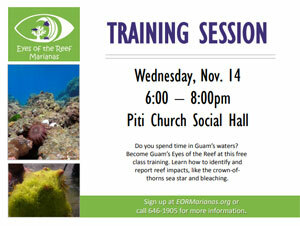 Come help us celebrate the end of Guam Year of the Reef with activities, prizes, and fun! This event is free, under 18 years old welcome with an adult. Wear your GYOR hat or shirt to be entered into a special raffle. 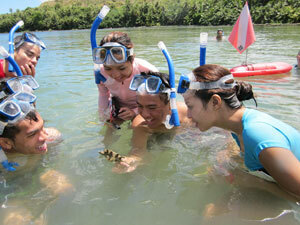 Learn more about coral genetics and its role in coral reef conservation and restoration. This event is free and open to the public. 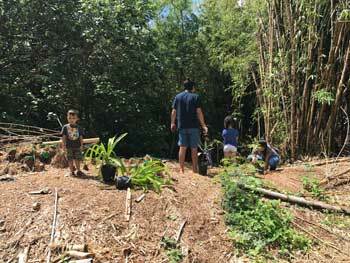 No pre-registration required. 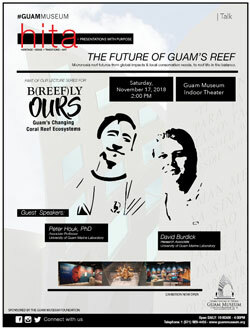 Join reef experts Dr. Peter Houk and David Burdick as we discuss what's in store for the future of Guam's reefs and the island that depends on them. Free, and open to the public! 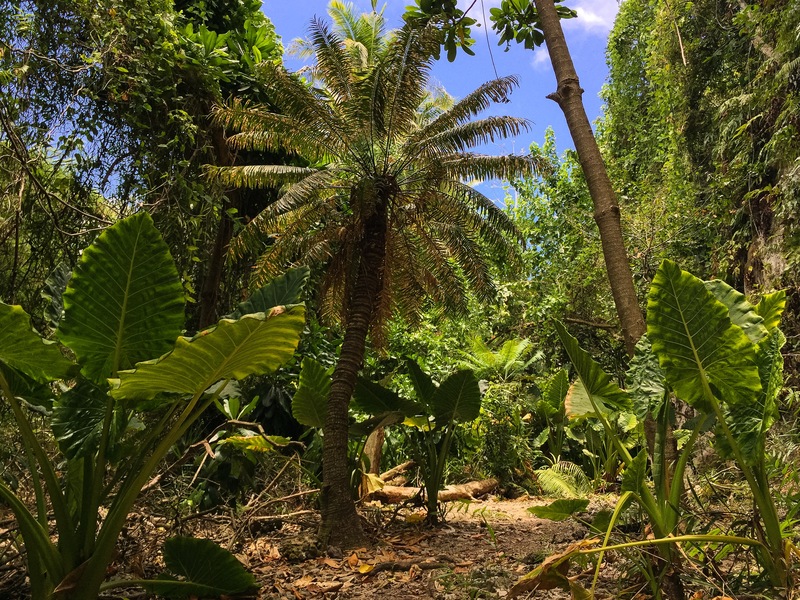 Tree plantings at Asgadao, Merizo with Department of Agriculture's Forestry Division and the Bureau of Statistics and Plans on November 10, 2018 8:30 AM - 12 PM.